Over a year ago I took a new position. We have been enjoying great success with record results. Recently the person I replaced took a job that I have to work directly with. They have decision making responsibilities for the group. From the moment they came back, they have been second guessing everything I do. This has happened in both large group settings and also directly to their boss, who then talked to my boss. I feel trapped and have been second guessing everything I do. Its starting to affect my team. Any suggestions on what to do without stepping on toes? At the end of this reply, you will find some suggestions for dealing with backstabbers, but first I want to focus on you. Before you read further, I accept the idea that I could be completely off base. I wonder if the issue is lack of decisiveness on your part? Perhaps this person was given the position that has decision making responsibility because you lack confidence in this area. Learning to navigate situations where you’re second guessed is an important step on the leadership journey. Your concern about stepping on toes may reflect a healthy concern for the feelings of others. On the other hand, it may reflect an unwillingness to take action when there’s emotional tension. I’m leaning to the later idea. Emotions. It’s wrong to think you can prevent dark emotions. Buried emotions eventually manifest themselves. People. We influence people, but ultimately people make their own choices. Manipulators use unethical methods of influence. They tell lies to invite people to engage in self-defeating behaviors. Past events. History never changes. We do. Responses to negative emotion. What will you do with the negative emotions that are connected with your antagonist? Ruminate on them night and day or focus on something else? Develop a plan to deal with this the next time it happens. Attitudes when things seem to go badly. What do the following words suggest? Humility. Perhaps this situation is an opportunity to expand your leadership skills by learning how to navigate being second guessed. Candor. How might you give voice to your concerns in a way that reflects concern for the team you lead and the organization as a whole? How might you say something that serves the best interest of you antagonist? Toughness. Is this an opportunity to shift through your values and determine where you are willing to take a stand, even if it feels dangerous? Transparency. How might you bring this situation to light in a way that serves the best interest of others? How might you give voice to what’s going on in your world? Focus. How might you discover behaviors that move the agenda forward? Distraction destroys effectiveness. Gratitude. Where might you find and express gratitude, even in small ways? Gratitude is freeing. You mention that you’re having great success. Celebrate, even as you press into the future. Please forgive me if my focus on you is off base. Let’s assume your antagonist is a skillful backstabber. Find the grain of truth. Backstabbers appear to express concern while causing harm to their victims. It’s likely that there’s a grain of truth in their concern. Otherwise, no one would listen. In your case, the grain of truth may be about your decision making skills. Play office politics responsibly. Strengthen your relationships with higher ups. Don’t confront a skillful backstabber. They will chew you up and spit you out. They’ve anticipated your moves and laid traps for you. I heard one skillful backstabber brag that she would cut you and you wouldn’t even know until the next day. Brag about successes. The best way to brag about success is to publicly celebrate your team’s wins. Let others know about high performers on your team. Don’t brag about yourself. 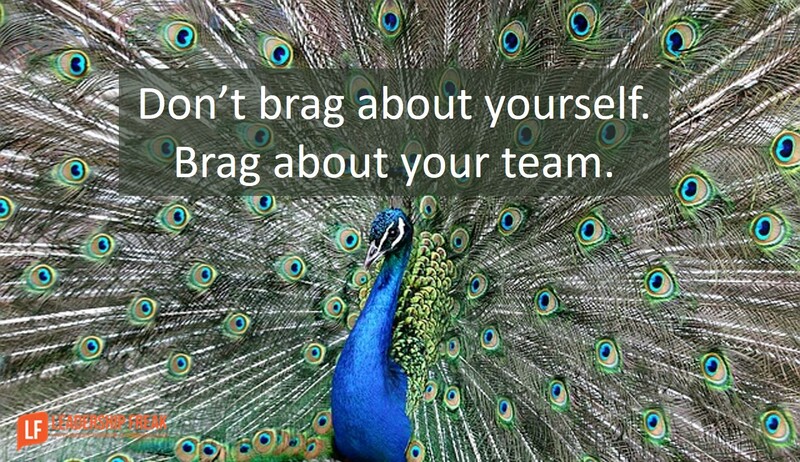 Brag about the people you lead. What suggestions do you have for Second Guessed? Excellent post once again. I believe your advice is spot on because we can not control what others do, but we can control how we behave. Even in the most difficult of circumstances leaders need to find a way to move forward and those that do will be rewarded. You offer several useful suggestions for doing just that. Thanks David. Learning to let go of things we can’t control is a life long journey for me! Not knowing the exact situation, great general advice. I would look toward a job coach or leader mentor you can trust to get really specific with. I will go all sidebar on this and suggest that you dig into the literature about sociopathological behaviors and ideas around organizational sabotage. There IS a literature out there on these things. That person may be playing a more serious game than you imagine and knowing more about how they think and operate can be helpful in generating coping or aikido-type responses. There ARE a great number of sociopathic personalities in positions of power in organizations and they certainly do not play the same way as the rest of us. Thanks Dr. Scott. I’m glad you added this. I had one of these people on a team I was on. It’s amazing how skilled they are. You’ve nailed two key points; brag about the people you lead (when you have led effectively and their success is your success) and (I really liked this powerful leadership assessment) “Learning to navigate situations where you’re second guessed is an important step on the leadership journey.” Thanks, Dan. P.S. I first subscribed to Readitforme months ago when you first recommended it. Thanks for that suggestion. Thanks Bill. It can be a bit disappointing when leaders come up against being misunderstood and underappreciated. I’m glad you’re enjoying Reditfor.me. The offer of getting it for an entire organization, regardless of the number of employees for an upgrade of $49 is fantastic. I just havenât got that far yet. Hopefully soon I can do at least some.